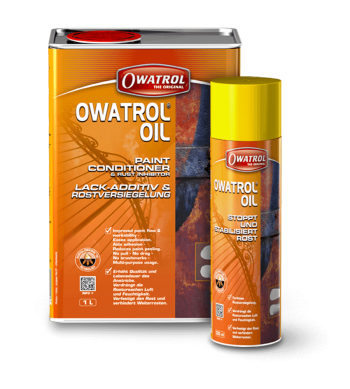 Owatrol Oil is versatile, highly penetrating air drying oil that can be used alone or added to paint. Used alone as a rust inhibitor it provides a tough, flexible finish, driving out excess moisture and air; displacing it from rusted metal, so stopping rust dead in its tracks. Used alone on porous wood surfaces it will saturate and protect the wood from damage caused by moisture and prevent paint from peeling. When added as a paint conditioner to any oil or alkyd based coatings it will give increased wet edge time, improved flow and greater adhesion. 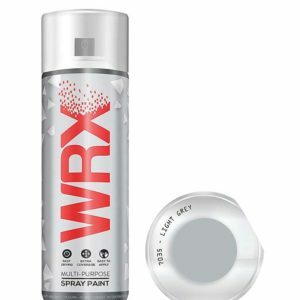 Unlike damaging thinners, it will maintain the inherent quality of the paint without affecting its appearance or drying times, allowing you to achieve a more professional finish. Owatrol Oil penetrates through the rusted metal to the sound metal below, isolating it and protecting it from further rusting. Directly use on rusted surfaced – the penetrating oil drives out moisture and air and stabilises the metal to protect it from future damage. On brand new metal surfaces, use Owatrol’s AP 60 instead. If you are looking for a high gloss rusted finish you can also overcoat the surface with Deks Olje D2 high gloss clear oil. A bonding film is left on all surfaces Owatrol Oil is used on which maintains the natural look of the surface but allows enhanced adhesion, making it perfect as a foundation for primers or finishing coats. It gives excellent adhesion including on galvanised steel, aluminium, zinc, wood and more. Paint can be applied directly to firm rust when Owatrol Oil is used and is heat resistant up to +175°C. Mix Owatrol Oil into oil-based paints as a paint conditioner to get several great benefits. Firstly, it gives the paint rust inhibiting properties and helps prevent rust on painted surfaces (even when rust is already present). Secondly, it also improves the flow and workability of the paint. This means that you can maintain the ‘wet edge’ for longer, reducing brush and roller marks. Finally, it gives the paint a better viscosity allowing painting work to be carried out in a more extreme cold, hot and windy conditions. Unlike damaging paint thinners it does all this without altering the inherent qualities or the finish of the paint. Please note that if you are looking for a product to give this effect but for water-based paints then please use Floetrol instead as it is designed for use in any water-based paint whereas Owatrol Oil is for use in oil-based paints. When used on wood surfaces Owatrol Oil saturates the wood and protects it from damage caused by moisture. It also helps to prevent paint from peeling and protects metal parts such as hinges and latches from corrosion.